A “mixed salad” of legacy equipment spread throughout multiple remote user locations, all with varying degrees of existing network infrastructure was proving cumbersome and difficult to manage. The consolidation and reduction of network services, combined with the replacement of aging equipment resulted in a system that was easy to use and uniform across all sites, providing an overall reduction in operational costs. 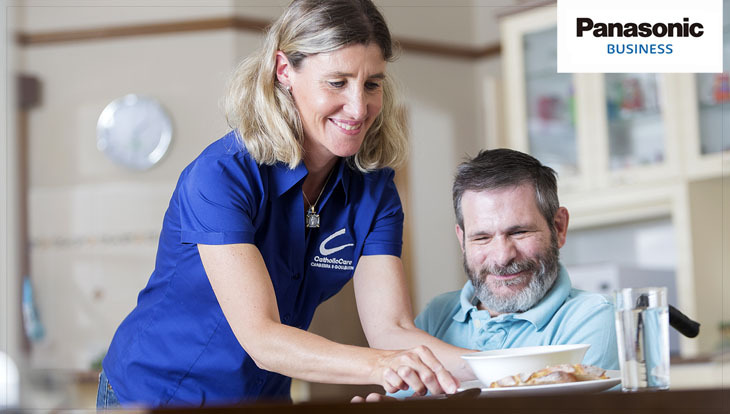 CatholicCare Canberra & Goulburn has been serving its community since 1957, by providing a wide range of help over a truly Australia-sized service area. While this is its real benefit to the community and to the individuals that it serves, it is also one of its greatest challenges. Not only were services de-centralised, but staff were often required to work at multiple centres. This, combined with non-rational communications systems that featured a “mixed salad” of aging equipment often with different feature sets across various platforms, made sites hard to manage. Some staff had to work with multiple extension numbers and multiple voicemail boxes. CatholicCare Canberra & Goulburn presented two challenges. The mixture of legacy equipment spread throughout 10 remote user locations were proving cumbersome to use and resulted in a significant loss of operating revenue. Two of the ten locations were main sites located in different areas (Red Hill and Blackfriars (Watson)) which needed to be utilised by all staff to deliver the required support services to the various local communities, all with varying degrees of existing network infrastructure. Cost savings and efficiency are a high priority, especially for a non-profit organisation. Through rational consolidation of their communication systems and state-of the art technology, the organisation aimed at reducing both infrastructure and operational costs whilst providing a truly scalable solution to cater for their growth and expansion plans. Also, the need to leverage limited human resources across multiple locations demanded a fluid communication model. The introduction of the latest Panasonic systems brought with it a myriad of benefits including increased flexibility, efficiency, high scalability and substantial cost savings. CatholicCare Canberra & Goulburn also benefited from simplified system maintenance and management, plus the latest technology will allow room for future expansion. 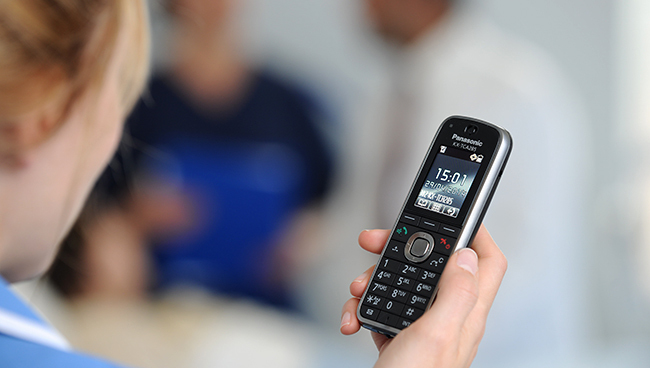 Sedcom, a Certified Panasonic Unified Communications Partner, assessed the needs and challenges, and implemented a plan to deliver a powerful, feature-rich system to integrate communications and allow a timely response from staff and care givers. All types of businesses strive to cut costs, but for non-profit organisations, cost cutting is an absolute must. With the new setup in place, CatholicCare was presented with tangible benefits. Due to a consolidation of network services, centralised SIP trunk channels allowed consolidation of the ISDN PRI service at Red Hill, resulting in savings of about $425 per month. 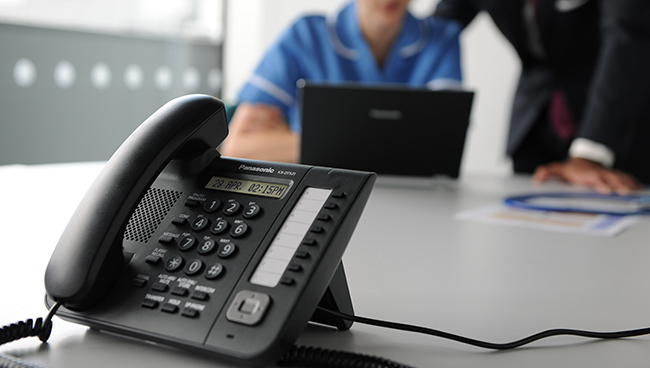 CatholicCare also experienced up to a 50% reduction in call charges – SIP Trunking also impacted calls to mobiles, the single highest value charge to the business, and cut overall costs in half. With planned upgrades and further consolidation across other sites, additional cost saving benefits will be recognised in the not too distant future. The latest solution has also mitigated CatholicCare’s previous system maintenance and failure issues. For example, their aging EOL legacy equipment had been costly to repair. Faults and repairs often went unresolved, reducing both efficiency and productivity. With the new equipment and Panasonic support, this is a thing of the past. As CatholicCare begins their next 60 years of service to the community, they can be rest assured that the organisation has the technical capabilities necessary to respond to the many vital human needs of the greater Canberra area. The system installation was completed by Sedcom Business Phone Centre, taking one month including configuration of the new systems, data migration and thorough testing. New systems were installed at four sites, with terminals installed in parallel to minimise customer downtime. VoIP service was provisioned to test call quality and call handling across sites. By offering a solution tailored to the needs of CatholicCare, Panasonic delivered both system rationalisation and major cost savings. CatholicCare has a flexible and fully scalable solution to enable cost efficient growth and expansion into the future, thanks to the Ultimate Activation Key provided with the KX-NSX1000.